Path Finder - one of the best file managers, with attention to detail interface: the presence of tabs, preview a document or audio / video files, process management, work with files, install / uninstall applications, two-pane and much, much more. Path Finder can serve as a complete replacement for the standard Finder with far greater functionality. Tabs, perhaps - the best graphic applications and our file manager is no exception. Tabbed Path Finder is very easy to use. Not only can you always see what folder you have open and how easy switch between them, you can easily drag and drop files between tabs. Another great feature - a set of tabs, which, in fact, are individually configurable workspaces. It is very convenient, for example, if you are working on a project and you need quick access to all relevant folders, applications, downloads. The set of tabs saved folders that were open the last time. Drop Stack is a temporary storage that can hold files during transfer. This simplifies the process of moving files to a new directory, for example, when you brush your downloads folder. View mode "two-pane Explorer" in the Path Finder window is divided in half so that you can see two folders at the same time. It is very useful when comparing the contents of the folders or moving files between folders. Each panel - a separate file browser. You can go in this viewing mode by clicking on the icon at the bottom left. Switches section view and allow you to display additional information in a browser. After selecting the icon switch view, at the bottom of the screen is divided in half and there is a custom mapping information about the selected file. Section doing the same thing, only the data about the files appear to the left, right or bottom of the browser. In Path Finder is possible to filter files by keyword or type of expansion (the search box at the top right). If you want to select the files for a set some parameters, click on the search icon in the toolbar at the top right, enter the search term and click on "+" to add parameters for the search. In Path Finder has additional tools to perform certain tasks, so you do not have to run additional programs. Among the tools Path Finder: text editor, a simple image editor, model application launcher, file archiver. * Fixed authenticated operations execution under El Capitan (OS X 10.11). * Fixed "Get Info" ShiChuang crashes under El Capitan (OS X 10.11). * Fixed several graphical issues and glitches under El Capitan (OS X 10.11). * Fixed concurrent execution of more authenticated operations. * Fixed labels / tags names localisation issue. * Other minor fixes and performance and stability improvements. 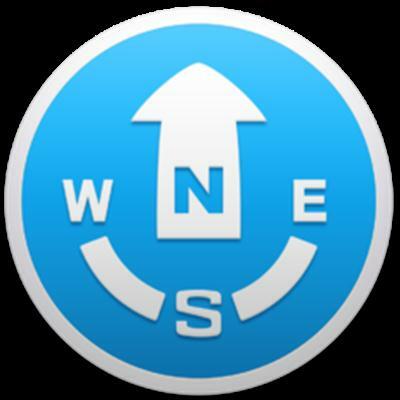 Path Finder 7.2 MacOSX Download via Hotfile Rapidshare Fileserve Megaupload & FileSonic, Path Finder 7.2 MacOSX free torrent downloads included crack, serial, keygen.